Roofing system failures can be caused by a number of factors, including age, severe weather, poor workmanship, defective materials, improper specification of a roofing system, UV, abuse and failure to maintain the roof. Through our professional, roof inspection and estimating services, Chandler’s Roofing can help property owners improve and protect their building's performance before any significant failures or structural damage occurs. When the time comes to re-roof, you can rest assured that we will guide you through the re-roof process, ensuring you have the best materials, warranties and workmanship available. Roof maintenance is the physical inspection of an existing roof to determine its current condition, detect weakness and failures and identify and repair any potential future problems. Through a program of regularly scheduled annual or semiannual maintenance, Chandler’s Roofing technicians assist owners in protecting their roofing investments by seeking to identify and prevent damage in its early stages. Early detection of leaks and roof system failures make it possible for Chandler’s Roofing to repair and extend the life of a roof system, which is significantly less expensive and time consuming than re-roofing. Roof repair is where an existing roofing system has been compromised and must be corrected, such as fixing leaks and repairing damage caused by high Santa Ana winds, extensive rain, hail, UV damage or earthquakes. Additional roof repairs may be necessary for roof tie-ins, skylight installations and roof damage caused by excessive foot traffic from painters, exterminators or window cleaners.  Chandler’s Roofing offers roof repairs for homeowners, HOA’s, commercial properties, apartment complexes, real estate agents and insurance claims all throughout the South Bay, Los Angeles and Orange County regions of Southern California. If a major storm or wind event causes damage to your roof or property, be proactive and call Chandler’s Roofing to inspect your roof. Inspecting your roof can save you thousands of dollars on future repairs! Routine roof inspections are recommended for all property owners on an annual basis. Additionally, a professional roof inspection is necessary in many real estate transactions and Chandler’s Roofing understands this process better than any roofing company in Los Angeles or Orange County. With two licensed real estate agents on staff, our roof inspections are the most thorough and professional reports in Southern California.